Video and photo observations can be realised relatively easily as long as the illumination is okay. At dawn and at night, however, it is no longer possible to achieve reasonable results when using standard equipment. 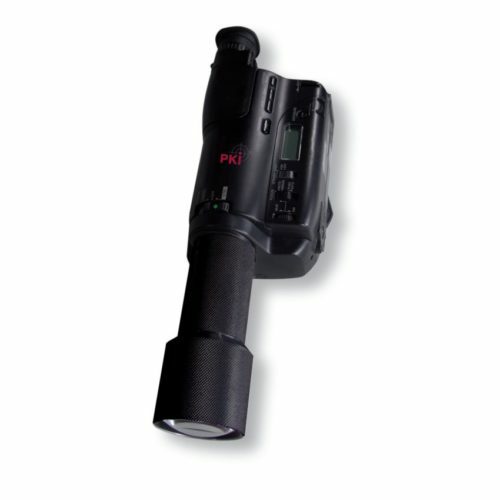 The PKI 5160 is a camera with a passive night vision device. Additional illumination is thus not required for observations as the usually available residual light, e.g. from stars, is amplified a several thousand times. The professional video camera with night vision equipment captures very good images even at dawn and darkness. Optionally, it is also possible to use our laser illuminator. This way, the accurateness of the image in every detail is considerably increased at darkness. The digital image data can be directly transferred from the camera to a PC via USB adapter and further processed or distributed via the internet. Freeze-frames, detail enlargements, etc. are no problem as a result of the digital photographic material.